We’ve known for a while that Elektra (Elodie Young) will be making an appearance on The Defenders, but exactly what that will mean for the show has been something of a mystery. A very short teaser released by Marvel and Netflix has a bit more of an answer. 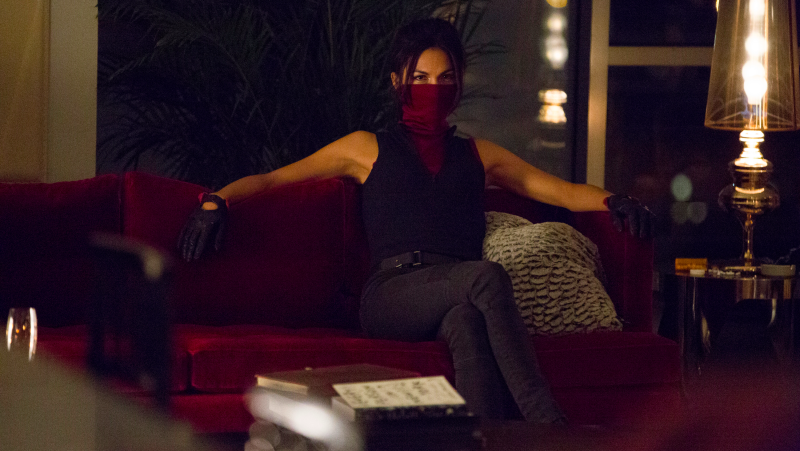 In case you’ve forgotten, Elektra died at the end of season two of Daredevil, only for the Hand to take her body, put it in a natty red outfit, and place it in a sarcophagus to, no doubt, come back to life to serve their goals. But the text “Oh, great. #DEFEND” pretty much confirms that Elektra will be on the Hand’s side for the confrontation with the Defenders, which is basically what we all expected. I don’t think anyone thought the Hand was bringing her back, only to have her escape and bring Matt and the others a vital clue or whatever. Elektra was always on the edge of being a villain anyway. The mystical arts the Hand is using to bring her back will probably result in her being the Black Sky they serve, just like they wanted in Daredevil—and Matt will have plenty of angst about fighting her. We’ll find out August 18. Elodie Yung&apos;s Elektra Joins the Defenders, But Will She Be a Hero or a Villain?